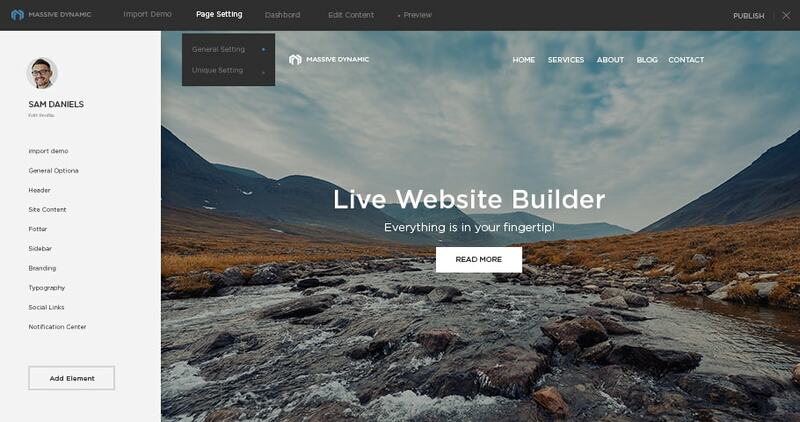 Today, we are going to look at the best multipurpose WordPress themes and it features to create multiple websites for different industry businesses by using the drag and drop page builder options. There are plenty of WordPress themes available with numerous features, but some WordPress themes only give you the 100% flexibility and customization options. These multipurpose WordPress themes are generally used for any kind of business websites. It could be the small-scale industry with large-scale business websites. It is also fitting to create business services, corporate companies to showcase portfolios, e-commerce solutions, regular blogging, PRO bloggers, magazine/news-based blogs, photography, freelancers, web designers, Internet marketing companies, SEO providers and 90% of websites that you feel to create for your clients/customers. Let’s have a look at one by one. 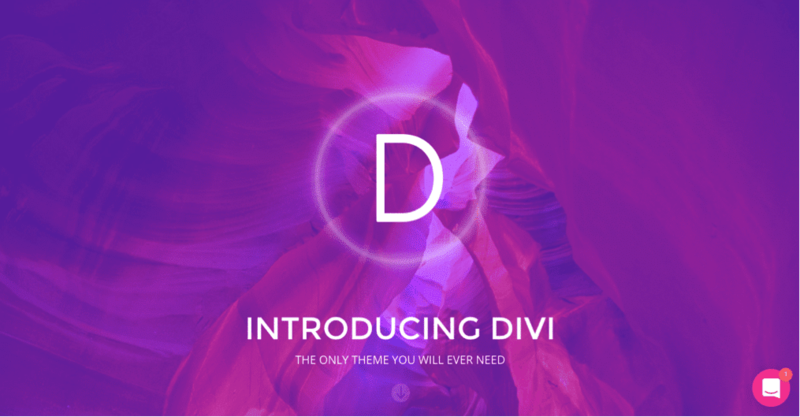 Divi is one of the most popular and widely known best multipurpose WordPress themes around the WordPress CMS industry. They are very stable to create and improve the theme features by customer’s feedback and bugs. Divi WordPress Theme is most of the powerful responsive drag and drops page builder, which help you to create all kind of business websites. It has been designed and released by ElegantThemes developer club. Divi WordPress Theme allows you to build your website in real-time design. Divi has coded by professional WordPress experts and it is very clean and responsive web design to load on all latest smartphone devices. It includes 46 content elements to build a unique and out of box web design. There are also 26+ pre-made page layout templates to directly import from the demo and use it for your purpose. Some of the highlighted features of Divi WordPress Theme is, In-line editing by simple click and edit the content from the live editor, draggable widths to adjust the row width, customizable UI, and drag and drop elements. It is also coming with tons of header and footer option to build unique looking websites. The Core is another powerful responsive best multipurpose WordPress themes by ThemeFuse developer club. 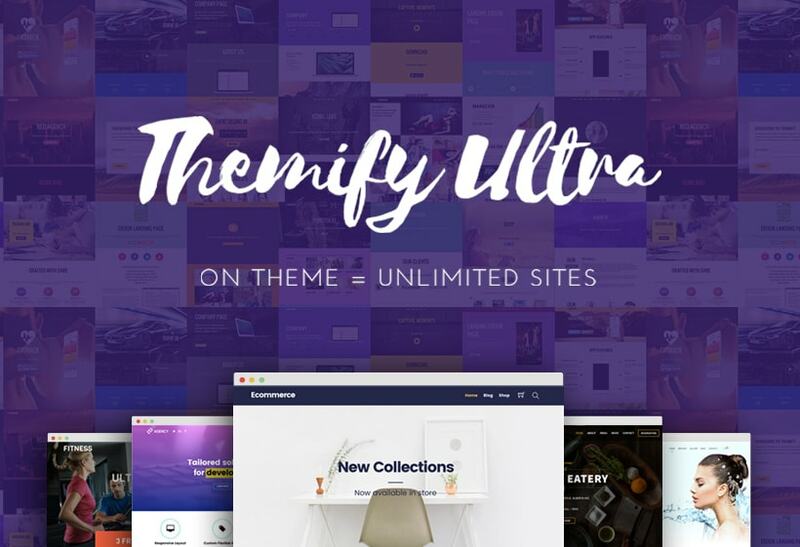 This theme allows you to build unlimited websites by using its advanced page builder plugin. Additionally, it included 23 thematic demos to directly use it for your client’s websites. The core WordPress theme has perfectly designed responsive web design and well optimized for all devices. Let’s have a look into its features, the core WordPress theme provides you advanced SEO options for ON page optimization, Google sitemap, you can set up events based websites, eye-catching animation effects for elements, manage your portfolios in multiple columns, sticky header navigation menus, custom header and footer section. 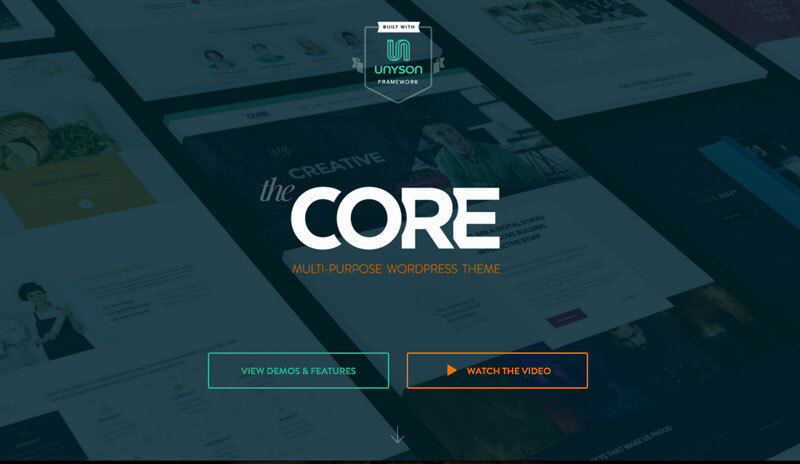 The core WordPress theme has powered by a powerful Unyson framework. It is providing is the advanced framework settings and customization options for next level of business. Presence is most popular and responsive best multipurpose WordPress themes from WPzoom developer club. This theme is specially designed to use for multiple purpose websites with tons of features. You can create unlimited unique web pages with drag and drop page visual builder plugin of Unyson framework. Presence WordPress Theme is also included with 10 pre-made demos in different industries. The demo includes music, real estate, hotel, education/university, business, agency, portfolio, fitness/gym/yoga, church / non-profit organization, WooCommerce Shop, Magazine / News Blogging, General blog and construction websites. 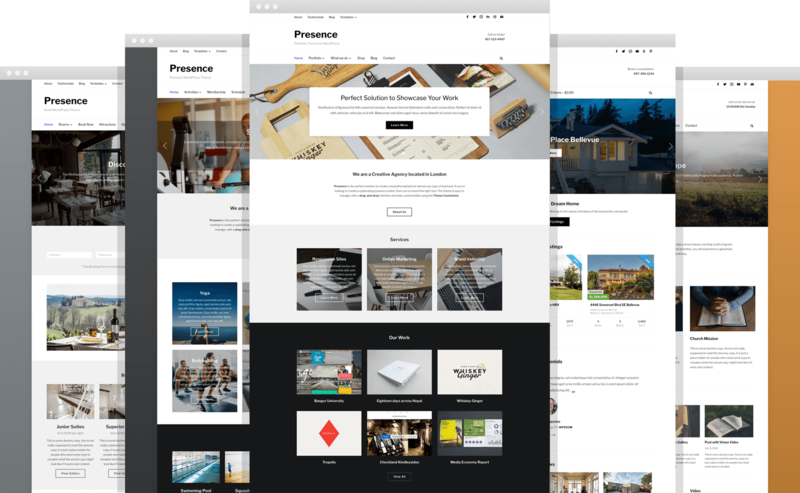 Presence theme has supported to work on all popular WordPress plugins like WPML.org, Unyson framework, MailChimp, Free SiteOrigin Page builder, the events calendar and Jetpack plugin. Check out the demo & detailed information below.